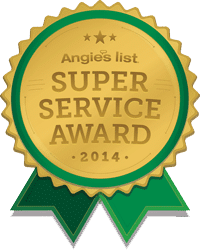 Anytime you have bees or an infestation, contact the local Latin American Exterminating pest control and exterminator technicians on Long Island, in Suffolk County and Nassau County, NY, ASAP. At Latin American Exterminating we have all that we need to get the problem under control. Whether it is a bee infestation, hornets, or wasps, you can be sure that our exterminators in Nassau County, NY will be able to effectively handle the job for you. Latin American Exterminating Pest Control & Exterminator is the best exterminator company in Nassau County, New York. Let us show you what we can do to rid you of your infestation, today. You might think that as long as you can find the beehive on your Long Island property, you can handle the problem on your own, but we do not recommend that. The one thing that most people do not understand is that when you agitate bees, this is when they will generally become a dangerous problem in New York. Nassau County bees are not prone to attack people for no reason. When you begin to engage (swinging at them), they feel threatened and agitated, and the inevitable will occur; they will sting. Another thing you may not be aware of is that there are several different types of bees in Nassau County: honeybees, bumblebees, carpenter bees and African bees and some are helpful to the environment. Each type of infestation needs to be treated with different methods by Latin American Exterminating. Once our local Latin American Exterminating exterminators have been able to determine the type of bee infestation you have, they will be able to effectively resolve the problem for you. Latin American Exterminating Pest Control & Exterminator offers you affordable pest control services. If the circumstances are right, a bee will begin building their beehive in the Nassau County NY area. This isn’t usually something that you can control in New York on your own.